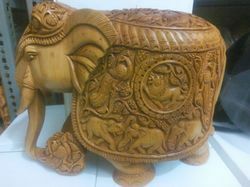 We are a leading 100% Export Oriented Unit of jalli wooden elephant, wooden fine carved elephant, wooden carved sikar elephant, wooden undercut lattice elephant, wooden carved elephant and wooden undercut elephant from Jaipur, India. 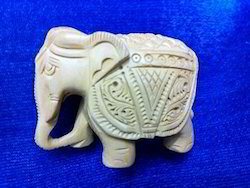 We are instrumental in offering the superior quality assortment of Jalli Wooden Elephant to our clients. 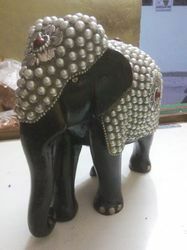 Our offered elephant is beautifully designed by our skilled and experienced professionals using quality approved raw material and sophisticated technology. 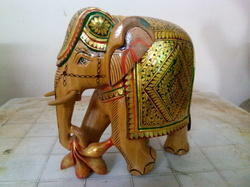 Available in a variety of designs, this elephant is highly demanded by the clients. Moreover, our exclusive collection is available in attractive colors and shapes, which suit diverse requirements of the clients. 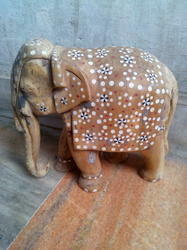 Further, we provide this elephant to the clients at rock bottom price. 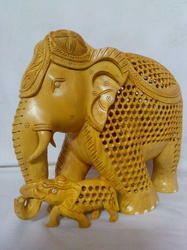 We are manufacturing and supplying a vast myriad of Wooden Fine Carved Elephant. A pool of our professionals has manufactured this range using quality machines in order to ensure precise designs. Besides, our range is featured with captivating designs, durability and unbreakability which is highly appreciated by the clients. 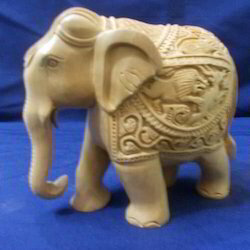 Owing to the skilled and dedicated workforce we are able to manufacture and supply an extensive range of Wooden Carved Sikar Elephant. 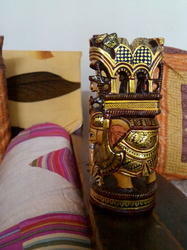 This range is reckoned amongst the clients for its high grade patterns and exclusive designs. Moreover, sturdily constructed this range is available in fine finishing and polishing. Besides, our range is recommended for its elite and elegant patterns which add a charm to the beauty of your place. 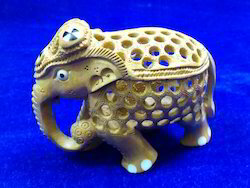 This Wooden Undercut Lattice Elephant is one of the wooden handicrafts items. 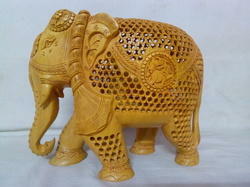 This Wooden lattice elephant is made by white cedar (Kadam) wood. 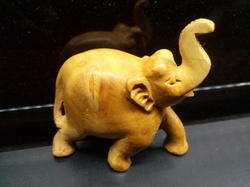 It's made by various design and good finishing. 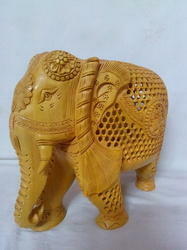 we have fine quality and good range of wooden undercut elephant. 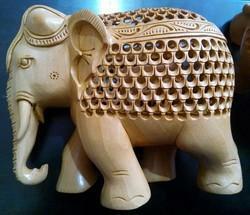 Wooden undercut made by master craftsmen in India. 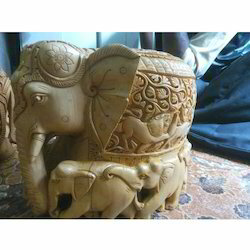 We have Carving , Plain , Undercut ,Khudai work and more many patterns . We are provide to our client most competitive and reasonable price. 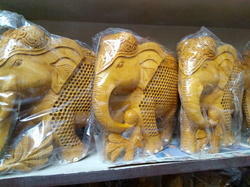 we have small size 3"4"5"6"(different patters ) and 8"10"12"15"( different patters ) wooden undercut elephants. 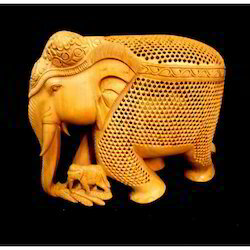 Backed by a rich industry experience, we are engaged offering an optimum range of Wooden Carved Elephant. 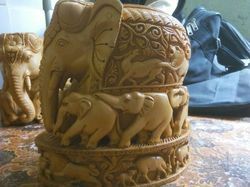 Designed with utmost precision, the offered elephant is made using quality-tested raw material and advanced technology. 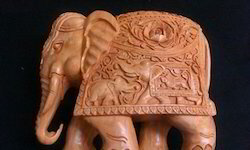 In addition to this, our provided elephant undergoes various tests under the supervision of quality controllers, in order to ensure its flawlessness. Clients can avail this range from us at market leading prices. 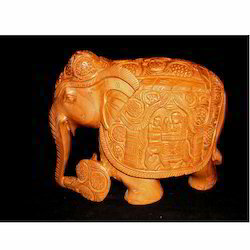 With the extensive knowledge and experience in this respective domain we are engaged in offering high quality Wooden Undercut Elephant. 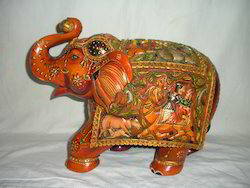 This elephant is designed to suit any interiors and is capable of augmenting the appearance of the room in which this is placed. 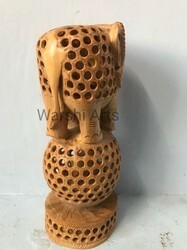 The offered elephant is designed with the help of soft quality wood procured from the reliable vendors in the market and modular technology under the guidance of excellent designers. 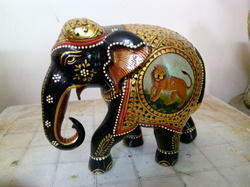 We offer this elephant in various sizes and designs and can be custom design as per the clients requirements. 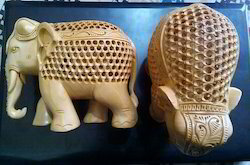 Keeping track of latest market development, we are actively engaged in offering a wide assortment of Wooden Undercut Elephant that is apt for enlightening the surroundings of the place where it is placed. 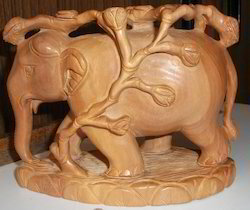 The offered elephant is designed with the help of supreme quality wood and modular tools in compliance with set industry standards. 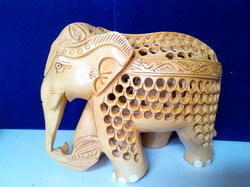 We offer this elephant in various specifications for our clients to choose from. 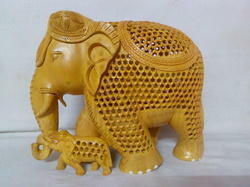 We are successfully ranked amongst the foremost organization for offering effective range of Wooden Undercut Elephants. 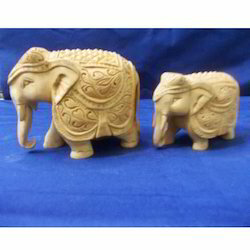 Designed with the optimal quality raw material by our skilled professionals, these elephants are in compliance with the set industry norms. 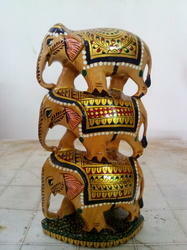 We offer these elephants to our esteemed clients in different sizes, alluring patterns and attractive designs. 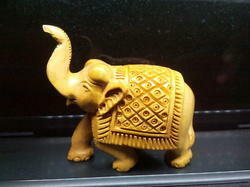 This extensive range of elephants captures the attention of everyone. 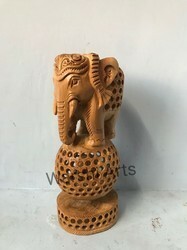 Being a highly effective, lean and fast-moving organization, we are highly instrumental in providing an extensive array of Wooden Antique Elephant that is provided in various trendy designs. Our professionals use selected raw material that is quality assured, to design it. 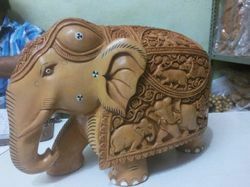 Available in different size as per the clients demand, we provide this elephant within estimated delivery time. 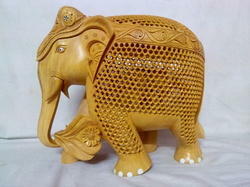 The offered elephant is highly acclaimed in the market for its features such as elegant looks and durability.